3D effect tile. Aged Ornato is a Spanish production. 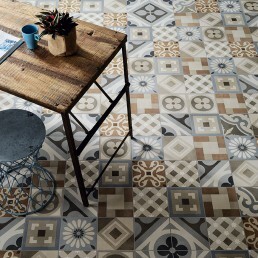 Combining modern design with patterns inspired by Vintage. 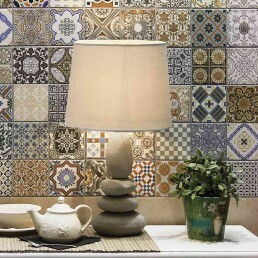 This 3D effect ceramic wall tile highlights luxury and elegance within each tile. 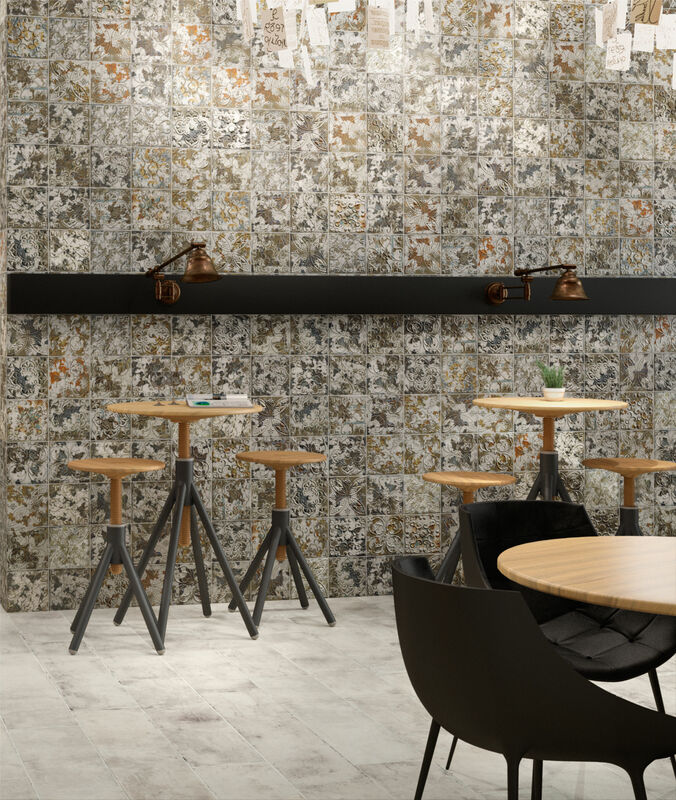 Perfect for feature walls and ideal for projects with industrial chic both residential and commercial. 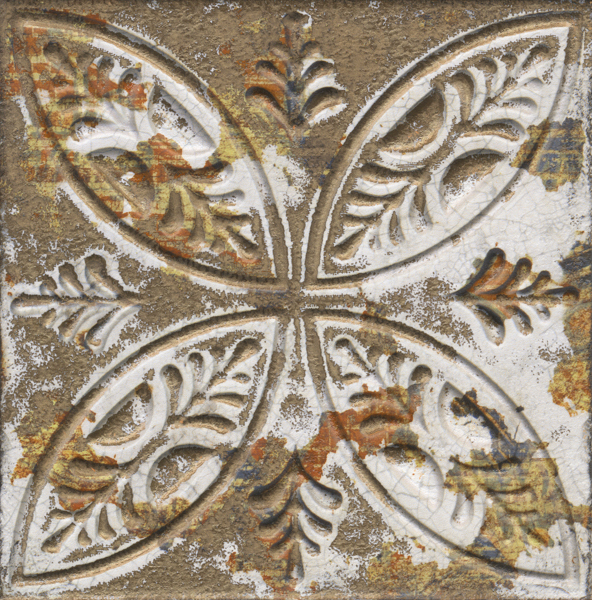 "This shabby chic 3D effect tile, has the quality of being graceful and stylish in appearance. 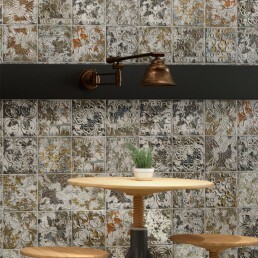 Aged Ornato a vintage inspired tile with pronounced detailing, set against a metallic background. 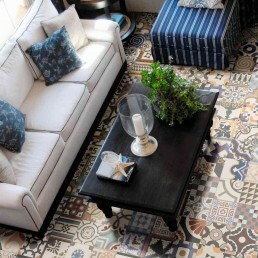 This embossed design is very much on trend." 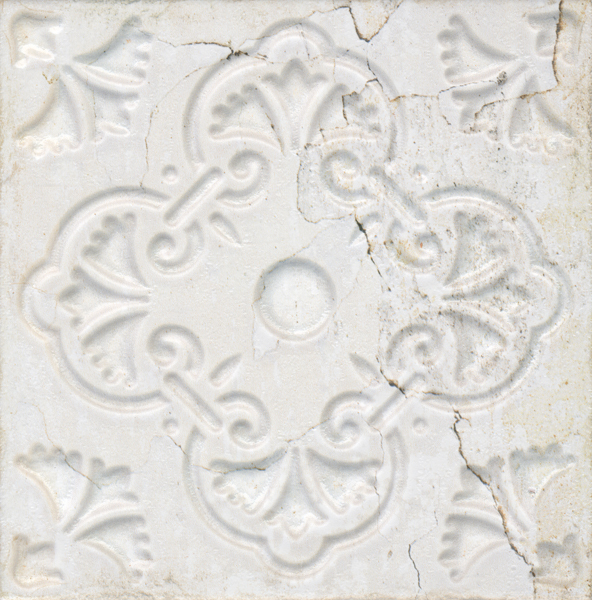 The detailing of this tile is absolute genius, somehow the manufacturer has managed, to recreate the effects of an embossed metal plate. 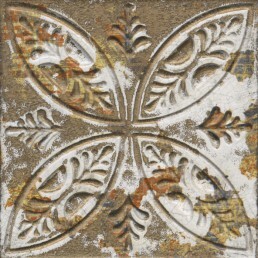 In the form of a stylish wall tile. The authentic technique involves hammering a design onto a surface from behind so that the decoration is lifted from its surrounding ornament. The detail created is pleasingly ingenious. 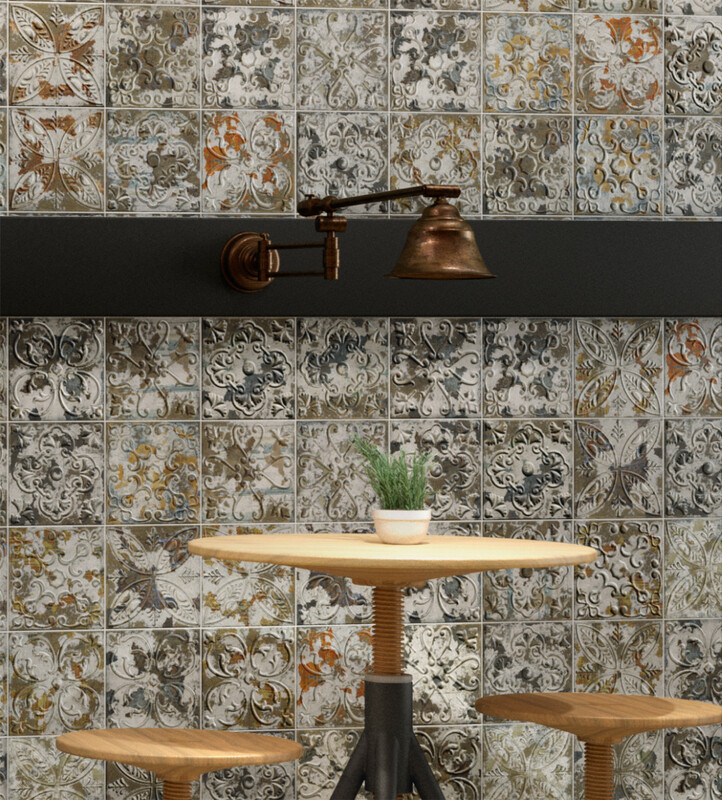 Ornato 3D effect tile brings visual and textural depth to emulate the highly desired and very much on trend vintage look. Unique golden look, creatively applying metal and stone elements to interior design. Allowing textures to collide, creating bold architectural designs. 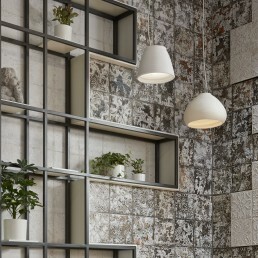 Transcending the boundaries of kitchen and bathroom wall tiles. This 3D effect tile has a mixture of embossed and engraved effect decoration, to create areas of high contrast and reflection. 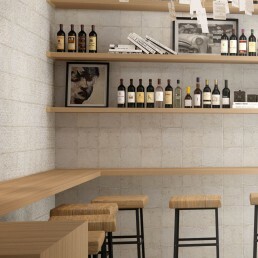 Ornato is available one size 200x200. Obtainable in 3 sought after tones. Come in a random assortment of 5 different patterns. Age dark owns tones orange, bronze, brass and pewter. With the hues of vintage old style aged stone. 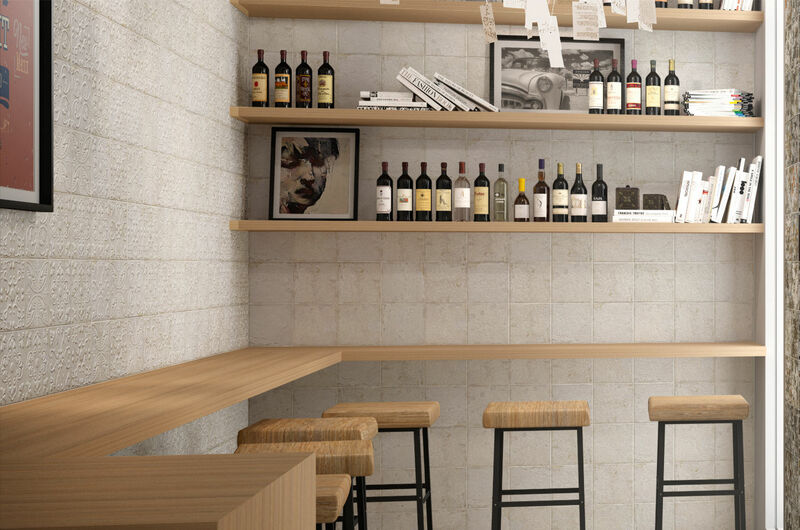 Age white achieves the influences of white washed stone. 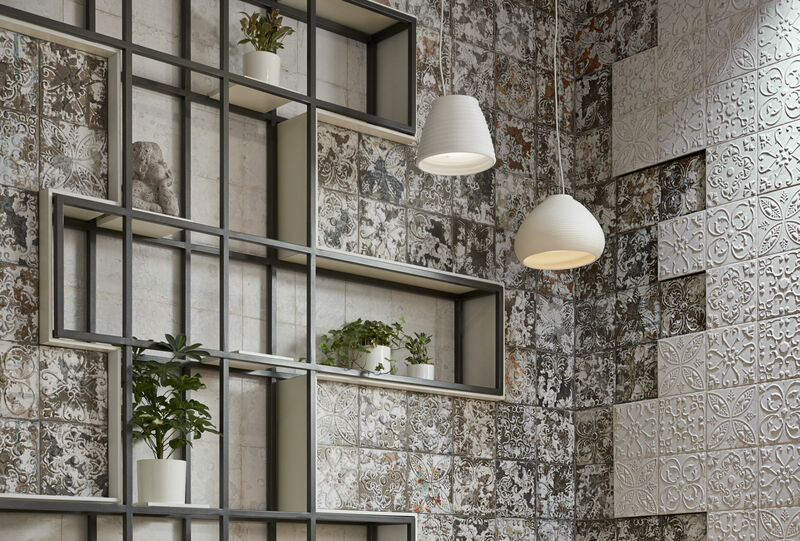 Age multi has influences of vintage style stone with a distressed crackle effect surface. 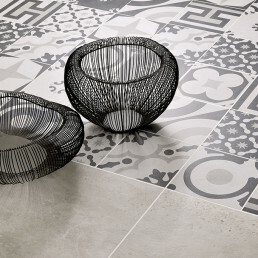 All the ceramic stoneware in this range have a destressed appearance. The description of this tile gives no validity. 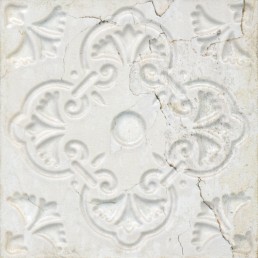 A tile of this form needs to be held to appreciate the true spectacular craftmanship.